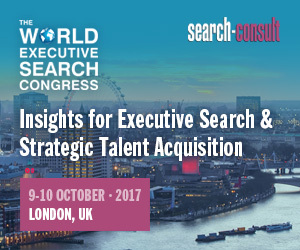 "After just one year in business, I needed a software tailored for executive search and able to handle international assignments. 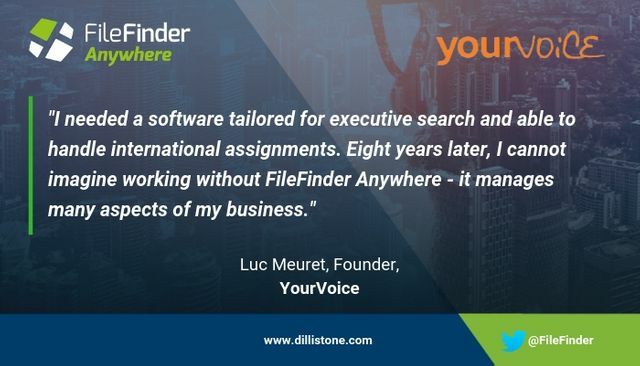 I decided to invest in FileFinder Executive Search Software and now, eight years later, I cannot imagine working without it – it manages many aspects of my firm. FileFinder Anywhere was also particularly helpful to prepare us for GDPR with new tools and great training. I would happily recommend FileFinder to other search firms – just not to my competitors!" Cannot attend? Request a no-obligation demo and one of our consultants will be in touch to discuss your requirements.